In an interview with journalists, Vučić expressed the hope that the recalling of ambassadors has not become a diplomatic confrontation and that it will be possible to resolve this situation in the near future. According to him, Ukrainians are friendly to the Serbs, and the Serbs feel the same towards the Ukrainian people. 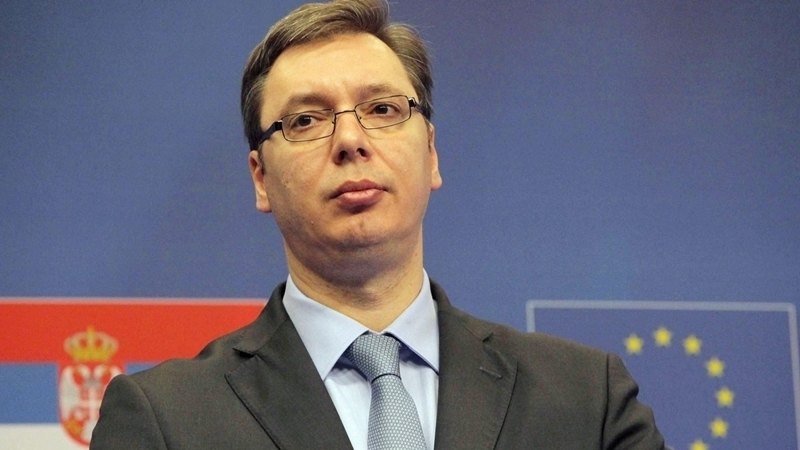 “It is important to reduce the degree of tension in relations to Ukraine," Vučić stated. According to Minister of Foreign Affairs of Serbia Ivica Dacic, Serbia opposed Ukraine with criticism and threats for allegedly trying to embroil Serbs with Russians. Official Belgrade accuses Kyiv of violating the Vienna Convention on diplomatic relations by Ukrainian Ambassador Oleksander Aleksandrovych. The Ukrainian diplomat claimed that Russia uses Serbia to spark a war in the Balkans and destroy Europe. He also noted that the Serbian government does not react properly to the fact of presence of Serbian citizens in the occupied Donbas as part of illegal armed groups. According to the Security Service of Ukraine, at least 300 Serbs participate in hostilities siding with terrorists.